Home to 33 beaches and over 12 miles of pristine white shoreline, there is no shortage of stunning beaches on the beautiful island of Anguilla. While it may be easy to laze away the days on long, dramatic beaches such as Shoal Bay or Rendezvous Bay, be sure to venture to some of the island’s hidden gems to experience the full scope of Anguilla’s splendor. Little Bay is one of these gems you won’t want to miss. While Little Bay’s size is described accurately by its name, this small strip of sand is engulfed on all sides by steep cliffs, resulting in dramatic views. Standing on this ribbon of sand curved up against the impossibly blue Caribbean, this may become your favorite spot for tranquility in all of Anguilla. The only luxuries you’ll find at Little Bay Anguilla are those you bring along with you, which is part of its charm. Pack a towel, snorkel gear, and a picnic, and you’ll be set for hours on this glorious beach. Lounge in Little Bay’s powdery white sand and get caught up on your latest read, or head into the crystal clear water for a refreshing swim. The waters along the rocky outcroppings offer superb snorkeling conditions, so bring along a mask and fins and snorkel alongside tropical fish and sea turtles. If you want to increase your adrenaline, some adventurers enjoy climbing up the 15ft rock with the aid of a rope to jump or dive into the water below. Little Bay is located near The Valley along Anguilla’s northern shoreline. This beach is only accessible by boat. Fishing boats leaving from Crocus Bay can be hired for drop off and pick up at requested times or kayaks can be rented from da’Vida, where you can enjoy the short paddle along the coast to Little Bay. A visit in the morning or late afternoon will better your chances of having some space to yourself, as most tour boats head to Little Bay Anguilla mid-day. 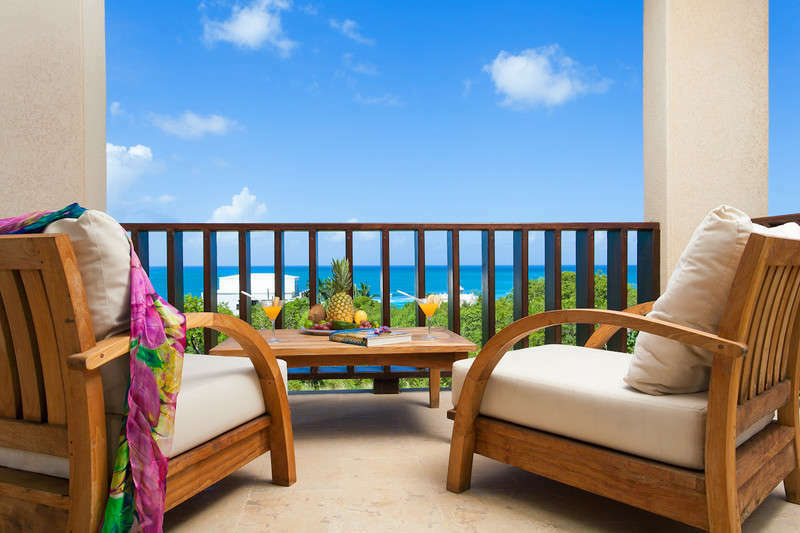 Make your visit to Anguilla picture-perfect with a stay in one of the luxurious units at the Fountain Anguilla. With our premier location on Shoal Bay, pristine white sands and tranquil turquoise water will be just steps from your door. From intimate beachfront studios to spacious two-bedroom units, your stay at Fountain Anguilla can be the romantic getaway you’ve been dreaming of or a fun-filled family vacation. Make your booking online or contact us at (866) 376-7077 or reservations@refinedretreats.com to start planning your dream island getaway to Anguilla! The Fountain Anguilla Resorts managed by Refined Retreats offer suites, one and two bedroom condominiums with much more space than a typical hotel. Newly constructed with modern amenities and all just steps to famous Shoal Bay Beach!